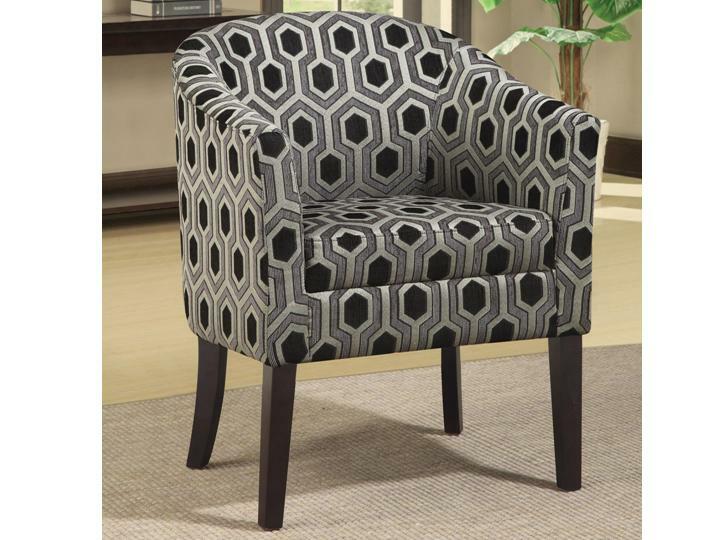 Accent your home with this modern arm chair. The smooth, barrel back design with a simple seat cushion creates a cozy, comfortable seat. 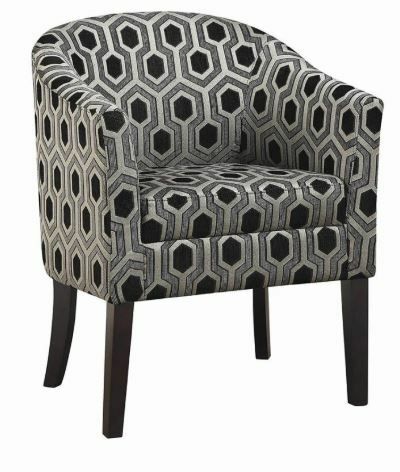 Upholstered in a trendy hexagon patterned chenille fabric with tapered wooden legs for modern flair. Pair with the soft grey sofa, loveseat, and arm chair in this collection for the complete set.